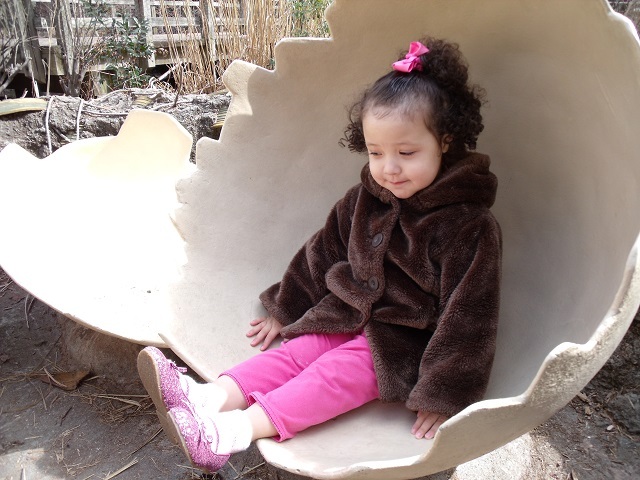 One Savvy Mom ™ | NYC Area Mom Blog: 3 Reasons To Plan A Trip With Your Preschooler NOW! 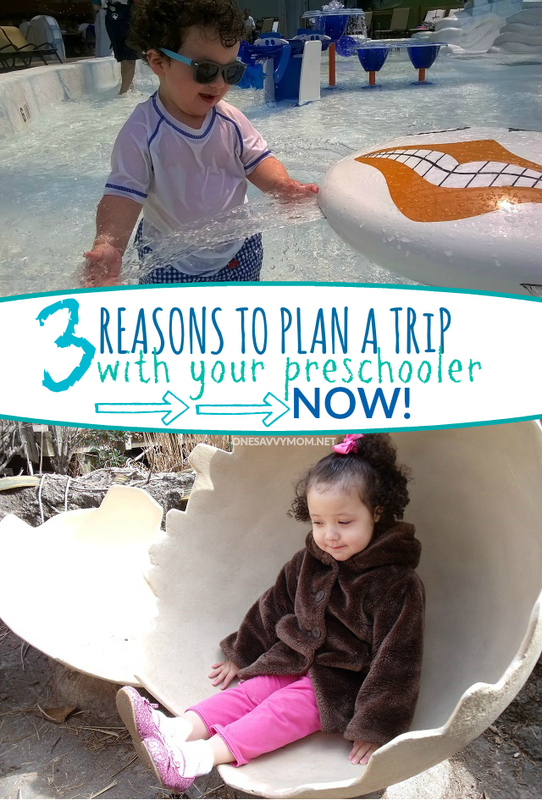 3 Reasons To Plan A Trip With Your Preschooler NOW! Our thanks to Walt Disney World® Resort for sponsoring this post. Compensation has been received. All thoughts and opinions expressed are my own. Couldn't have said it better myself. Friends, there's so much waiting for you, just outside the perimeters of your comfort zone. So very much! Each year, we find ourselves stretching farther and farther outside of our comfort zone, and honestly I'm so grateful for the memories that we've made as a family in doing so. 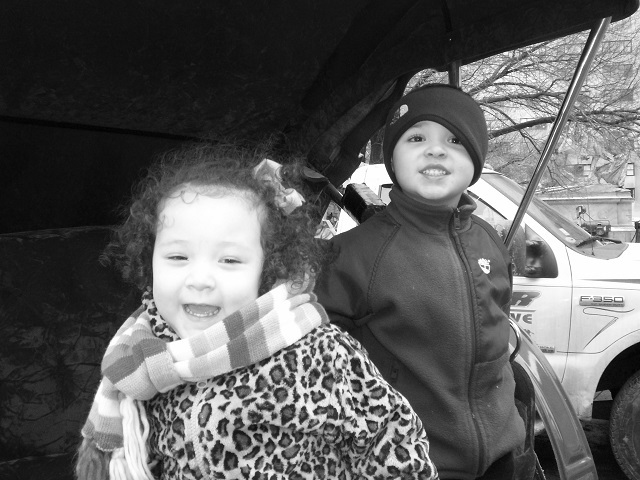 While travel with smaller children can present its challenges, it can be a ton of fun too! First, let's be real. Toddlers can be incredibly unpredictable. Period. One second they love something, and the next, they can't stand it. Case and point? My toddler went through a phase (an entire week) where all he would consume, literally, was chicken nuggets. Then, when he was over them, he was completely done. Like won't have anything to do with them. So, I get where you're coming from if you're apprehensive about traveling, with a finicky unpredictable preschooler. I've been there, done that, and got the t-shirt! 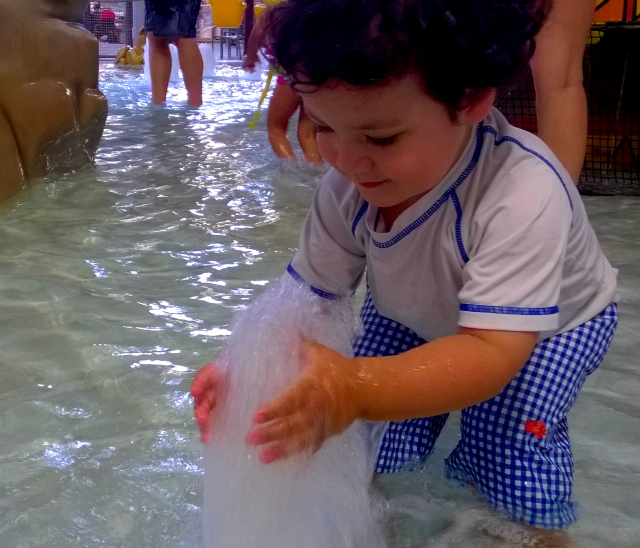 I know how hard it can be to venture into unpredictable uncharted waters, with an equally unpredictable toddler. Here's the thing though, honestly there's never a better time to travel than when your children are still small. I remember the first time we vacationed with our oldest child (now 12), like it was yesterday. We went to the beach in Daytona, and honestly I was terrified. Vast body of unpredictable water, sand, sun - meet tiny tyrant. Long story short, it was an amazing day! Yes, he tried to eat the sand. He learned his lesson though with his first taste, and we got on with our day. We made sand turtles and castles, and splashed in the water for hours. He was so proud of himself, for all that he did that day. His sun-kissed pudgy cheeks and huge grin, are forever committed to my memory. I wouldn't trade those memories for anything. As a mom of 4 (ages 12, 10, 3, and 7 months) I've carefully planned and executed many family trips. Day trips, road trips, flights with babies and unpredictable toddlers, you name it, I've done it! Honestly? It all worked out. Still not sure? 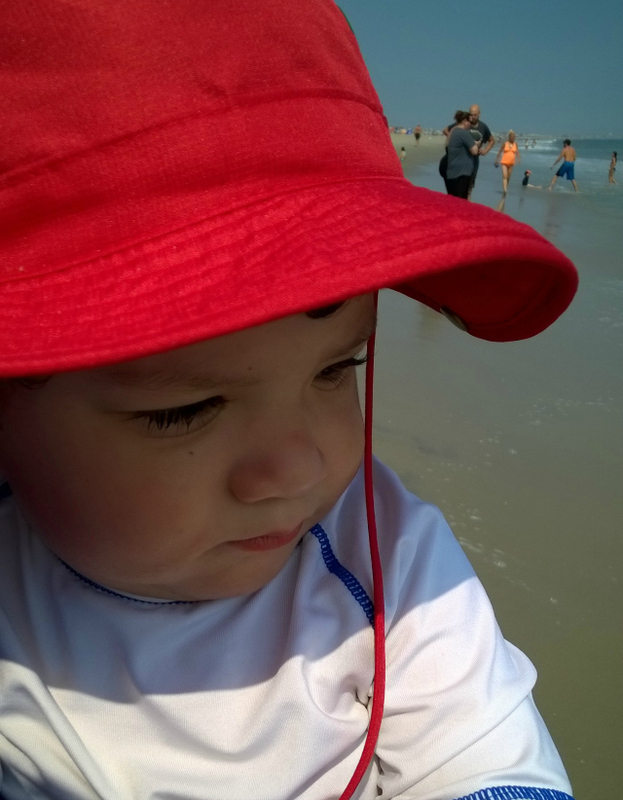 Read on for my top 3 reasons to plan a trip NOW with your preschooler, along with a few simple travel tips to keep in mind when exploring new places/ destinations with toddlers. The memories that you make with your little ones, will be the grandest reward, friends. So, venture on! Years from now, when they're not so little and their schedules are jam packed, you'll be so glad you did. School isn't an issue right now: As your children enter school and extra-curricular activities, it can be hard (if not impossible) to plan a family trip. If you plan a trip during the school year, your child can miss huge swaths of work, in just one week. Leaving them to either do large amounts of make-up school work while on vaycay OR making up everything when you return. It's just easier during the preschool years to travel and explore freely, on your own terms. These are the magic years: There's nothing like the magic years! Kids 5 and under seem to view the world through a different lens. They see most everything around them as new, exciting and amazing! There's nothing like watching your child explore new places / destinations at this age. Just awe-inspiring! It can be pretty frugal: Flights, food, hotels, activities, admission prices etc, are offered at a discounted rate, or in some cases completely free, for tiny travelers. Make sure to check ahead before you book/make travel plans. It can add up to some major savings, when traveling with little ones! Respect their schedule. For example; don't plan activities or theme park / show visits during their normal nap time. Be forewarned, skipping the nap can add up to one cranky disaster! I always make sure to plan big events early in the day, before lunchtime when possible, to ensure that my tiny traveler will be in the best possible mood and be able to partake in the fun. Plan a vacation to a destination / activities that the entire family can enjoy: With two older children and two younger, this can be a hard one! I'm always trying to plan with everyone in mind to ensure that it's a good experience for the entire family. I carefully select destinations and activities that everyone can enjoy, so no one feels left out. Especially the little ones. They can (understandably) get pretty cranky if they're left watching from their stroller on the sidelines. For example; we are headed down to Walt Disney World® Resort in June, with the entire family in tow and we can't wait! I'm attending a conference, and we decided to make a vacation out of it. There's literally something for everyone, at Walt Disney World® Resort! I love that our older children (and my husband and I) can experience different foods and cultures from around the world, at Epcot®. While my younger two can delight in real-life meet & greets with some of their favorite characters, in Magic Kingdom® Park. It's a fun time all-around! Keep travel times in mind: I know my children's limits well. And I try not to test them whenever possible. I carefully make sure to select destinations that don't require drives/flights that surpass 2-3 hours. Ready to venture out into the great wide world, with your tiny traveler? Disney Parks is the perfect magical place to start! Visit the Walt Disney World® Resort Preschool Guide to plan your visit, today. Scholastic and Disney have partnered for the Where is Tiny Traveler Today Sweepstakes , where Scholastic will be giving away a vacation to Walt Disney World® Resort for four! You can follow along with their Tiny Traveler on social media platforms, and take daily guesses of the Tiny Traveler's location. Each time a family guesses, they'll be entered for a chance to win! Visit Scholastic.com for more content on the importance of travel with young children. Plus, grab more tips on how to plan and execute a stress-free family vaycay! I'm so grateful for all the trips my parents took me on when I was little...I still have good memories from them.